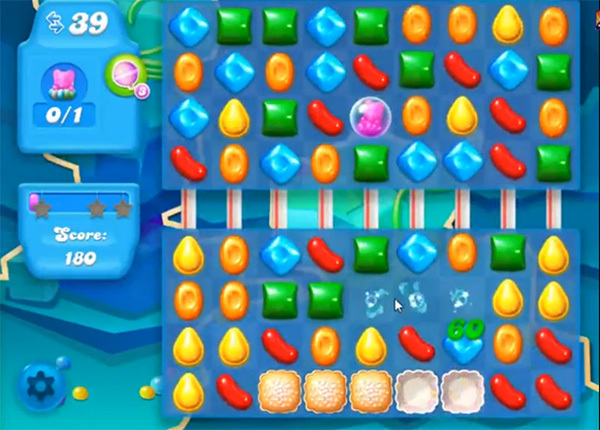 This level has easy difficulty and you need to use few simple steps to complete this level. For this level first try to play from bottom and break the blockers. As you get the soda bottles then break them. After as you have more soda on the board try to play from the bottom to shuffle more candies that will help to take bear to the string easily.